Is all-wheel drive coming for the 2019 Prius? Toyota is hinting strongly that there will be an all wheel drive Prius for 2019, a first for a U.S. version of the world’s best-selling hybrid. The caption for a photo teasing the Nov. 28 debut of the 2019 Prius at the L.A. Auto Show says the gas-electric hybrid will perform equally well on “snowy or clear” roads. That almost assures that all-wheel drive comes into the equation. Prius models in Japan have had all-wheel drive since the current platform – the fourth generation – was introduced in 2015. Called E-Four and developed specifically for hybrids, the system uses a second electric motor dedicated to the rear wheels. It can switch between front-wheel and all-wheel drive as surface conditions and fuel efficiency needs dictate and doesn’t take away cargo or passenger space. 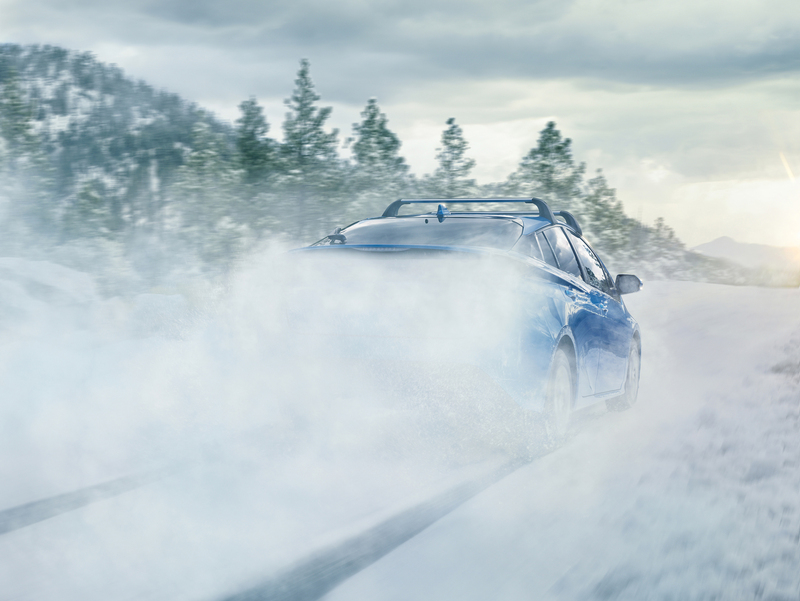 The car in the teaser photo is obscured by blowing snow, so there are no clues as to whether or how much the design has been updated for 2019. But early speculation has the conventional hybrid looking more like the Prius Prime Plug-In. The PHEV has a sportier nose and smoother tail end than the regular hybrid. While neither car wins anyone’s beauty contest, the Prime is the better looking of the two. Another argument for all-wheel drive for 2019 is the expectation of more SUV-like styling for the currently station wagon-like Prius V. All-wheel drive on an SUV-styled Prius crossover makes marketplace sense. Toyota, which owns a chunk of Subaru, is providing its plug-in hybrid system for the upcoming, drive 2019 Subaru Crosstrek Plug-in Hybrid. Like all Subies except the Toyota-based BRZ, the Crosstrek comes with all-wheel drive as standard equipment. But we’ll have to wait until the L.A. debut to see whether Toyota uses its own E-Four system or a Subaru-derived system for an all wheel drive Prius. Update: The 2019 Prius AWD-e uses Toyota’s own electric rear-drive system.